How much does this cost ? The Polantis service is free. Only a quick registration is required. How do I register ? When you click on any object that interests you, you will be presented with the registration form. There are two fields you need to fill out – only your name and a valid e-mail address are required. Once you register, you can optionally fill in additional information about your architecture practice. This data will only be used for our internal statistics and will never be used or shared with any third parties. I registered. How do I download the files ? Just select the object by finding it in the company list or the object type or simply browsing the site for what interests you. Next to the image of the object, you can see the list of available formats. Click one, and you are good to go. Why are there so many formats of objects ? We try to provide specific formats for most of the major architectural software on the market today, to help you integrate the object into your project as quickly and easily as possible. 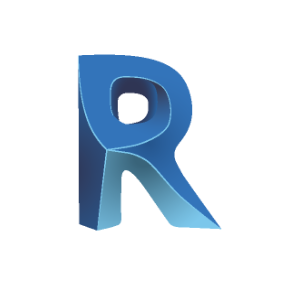 We hope you find the parameterized Revit objects especially useful. What if I do not find the format I am looking for ? We expand our palette of supported software continually. You can see which formats are available in the symbols next to the object rendering. If you have need of a format that we do not currently work with, send us an e-mail and we will try to support that model type in the future. Never the less, we estimate that with the formats we support now, almost 95% of architecture softwares are supported, either directly, through native formats or indirectly by an exchange format such as DXF or 3DS. I just need a 2D symbol of an object to put in my plans. Are these objects only in 3D ? All the objects also have 2D drawings for integration into plans, sections and facades of projects. I use Mental-Ray / V-ray other rendering software package for my renderings. Can your MAX objects work with this rendering system ? To maximize compatibility with the widest percentage of max users. Our MAX objects use default scanline materials, the most versatile and used form. Their conversion into specific V-ray or Mental-Ray materials is very easy to do. Should you want a pre-prepared material type specifically adapted for V-ray, it is included in the shader sections that accompany most of our objects. Our list of Shader formats is continually increasing. What are shaders ? What's the difference between a shader and a regular texture ? Shaders are advanced material settings that explain the programs how to render all the properties of a material. Using shaders gives you a better, faster, more optimized and more realistic result than using a bitmap image as a texture. Where do I find the shaders ? The shaders can be found under textures categories. Additionally, some objects types are usually represented in the form of textures and shaders, such as floor surfaces, wall tilling, decorative paper etc. Can I request an object or a company to appear on polantis.com ? If you have stumbled upon a product by a manufacturer that you wish to see featured on polantis.com, you just need to fill out this form : We can also create a custom-made 3D object or shader for you. My question is not in the list.